On Friday I shared a road-trip collage that I created from my iPhone pictures...a modern scrapbook, is what I dubbed it. And, after making the collage, I hung it up on a DIY burlap photo board. 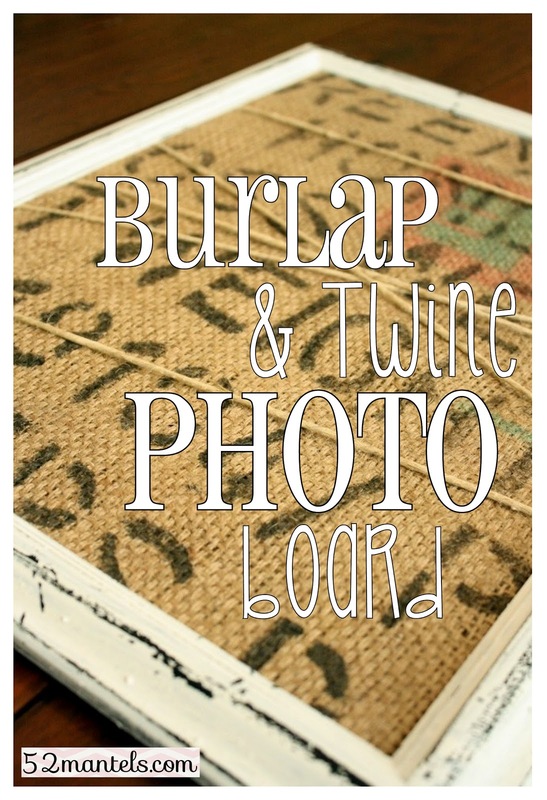 And, today I'm gonna show you the tutorial for that DIY burlap and twine board. Because, hey, it's Tuesday and Tuesdays are the perfect day to get your DIY on. Right? 1) I started with an empty, distressed frame that still had the glass and backing in it (but, I could have easily started with just the frame and cut a piece of cardboard or foam core to fit the frame). 2) I then grabbed some burlap scraps from an old Honduran coffee bag 3) After measuring, I cut a piece out several inches (on all sides) larger than the glass 4) With my burlap in place, I took several yards (~4) of twine and randomly wrapped it around my burlap-covered glass, folding the long sides in as I tightened 5-6) and, then, because I'm sophisticated-like, I taped the top and bottom sides down with good, ol' fashioned masking tape. After popping the burlap-covered glass back into place, I was finished with my Burlap and Jute Photo Board. Ta-da! One day in the near future, I'm going to show you the bedroom makeover that I started in May! If you can recall a long, long time ago (okay, maybe just a month ago) I showed you my bedroom dresser makeover. Well, the rest of that bedroom spruce is coming soon. Yippee! Burlap and twine are so very versatile for decorating. I love how you used them together for this fun piece! I love how this turned out! It looks great! Neat project. I'm pinning it. Thanks! This is fabulous! I've been looking for a centerpiece to put on my Sweet Summertime mantel & this will be perfect w pics of the family doing our summer fun stuff:) yay! Thanks! Super cute and easy! Nice work! I love how you used the masking tape! Hot glue is great, but you went even simpler. Thanks for sharing! That is so cute! 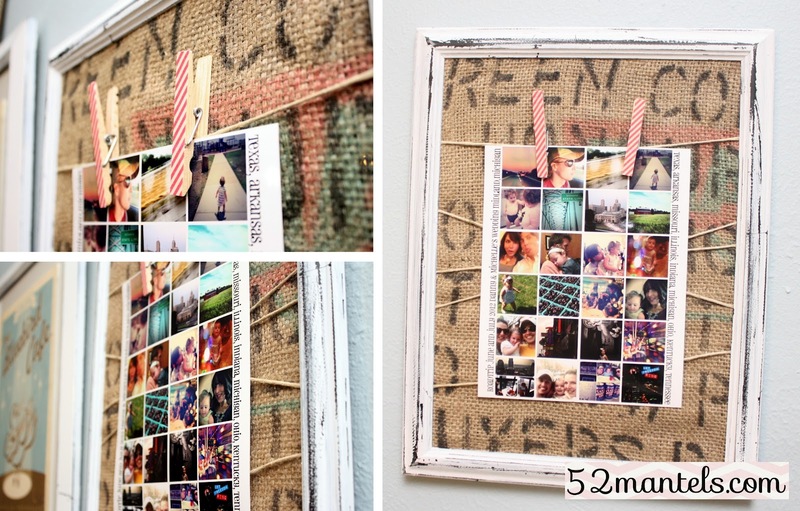 Is there a source for burlap coffee bags I keep seeing in blogland? What a cute little project! And I can't wait to see your bedroom! So cute!! I am having a serious love affair with clothespins right now... especially mini ones! I love the burlap you used! Have a great week girl! What a fun, adorable idea! 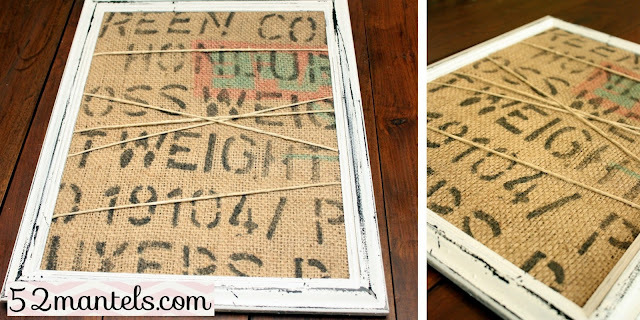 Emily, I just love how you used burlap and twine together! So pretty and creative! A chic yet rustic looking piece...love it! This is super cute!! Love it! I can't wait to see the bedroom!